You need stamina of steel to master this one! And American Justin Stewart has bundles of it! He holds the Guinness World Record for the most stairs climbed in 12 hours…after he climbed a whopping seven miles worth of them in his 12-hour attempt! Now…where’s the lift again?! On 13 November 2014, Katsumi Tamakoshi from Japan completed the fastest 100m on all fours in a record-breaking time of 15.86 seconds at the athletic field in Tokyo’s Komazawa Olympic Park. At that rate he could give Usain Bolt a run for his money! Think regular pull-ups are hard?! Ever tried pulling up your entire body weight using just your little pinky fingers?! No, us neither. But check out India’s Maibam Itomba Meitei do just that. Here he is performing his record attempt at the most consecutive pinkie pull-ups…he managed a very impressive 16! 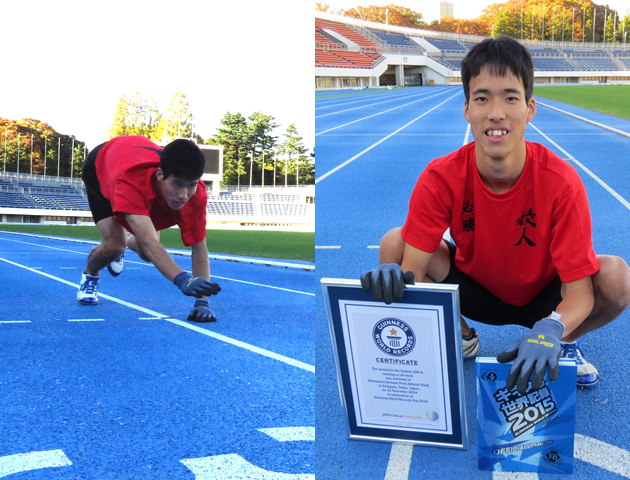 On 8 December 2011 in Beijing, China, Xie Guizhong did 41 one-finger push-ups in 30 seconds to achieve a new Guinness World Record. We can barely manage one! Note to self….must keep trying! This man certainly doesn’t need the bumpers up when he goes tenpin bowling!  In December 2011 Chad Mclean from the United States got nine strikes in one minute! We think that makes him a kingpin! 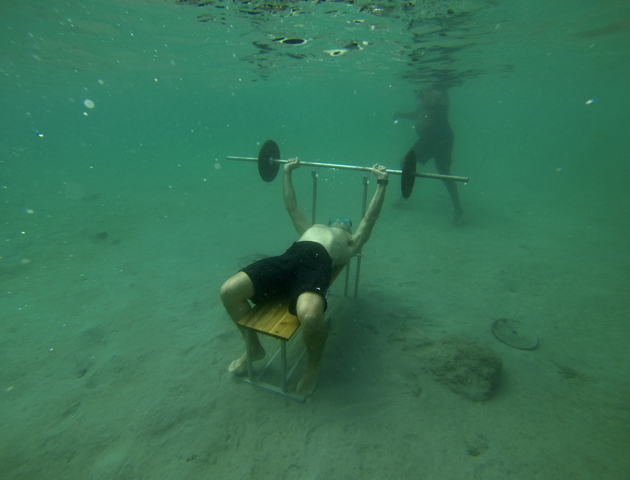 Ex professional swimmer Gerald Rioual beat the record for the most bench presses done underwater when he lifted a 110lb barbell 36 times in 90 seconds! And perhaps most impressively he completed the record attempt without any breathing apparatus! And all because he made a bet with his kids that he could beat the previous record held by Italian Marcello Paredi. Talk about setting the bar high! And finally this bizarre record has stayed intact since July 2012. German Amadei Weiland ran a whole 3.49m (11ft 5.4in) horizontally along a wall unassisted. The technique is known as the tic tac – very useful for avoiding obstacles on the ground apparently…so Amadei will be a master at dodging any rogue banana skins lying around! Would you ever fancy trying to break any of these crazy sporting records?